As of December 2017, Michigan's land conservancies have protected a total of 638,456 acres of natural, scenic and working farms and forest lands throughout the state, according to a recent survey conducted by Heart of the Lakes. 26,243 acres were added since our last survey in 2016. Land conservancies work with willing landowners, local communities, and the state. 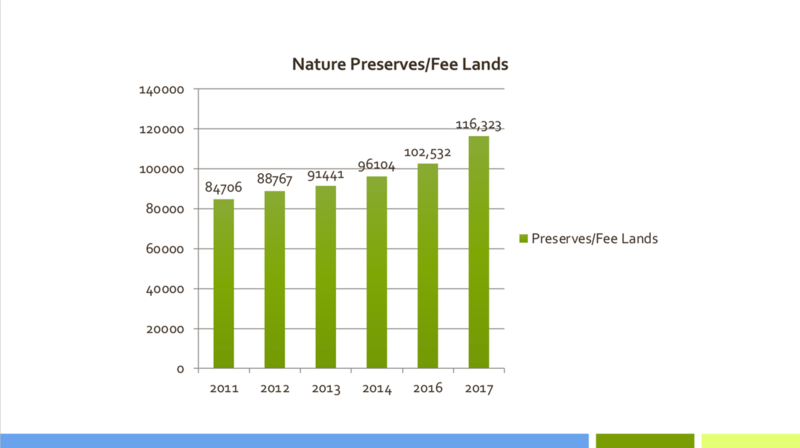 116,323 acres are currently owned by land conservancies as nature preserves or sanctuaries, an increase of 13,791 acres since 2016. Conservancies acquire them through purchase or donation and make them available to the public for quiet recreation. 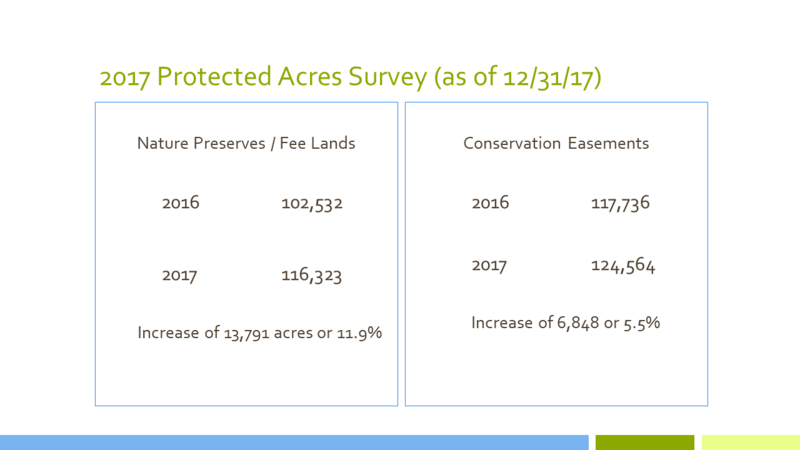 124, 584 acres are protected by conservation easements, voluntary legal agreements between landowners and land conservancies that permanently protect significant conservation values by restricting future development on natural, scenic, farm and forest lands. The lands remain in private hands and on the tax rolls. 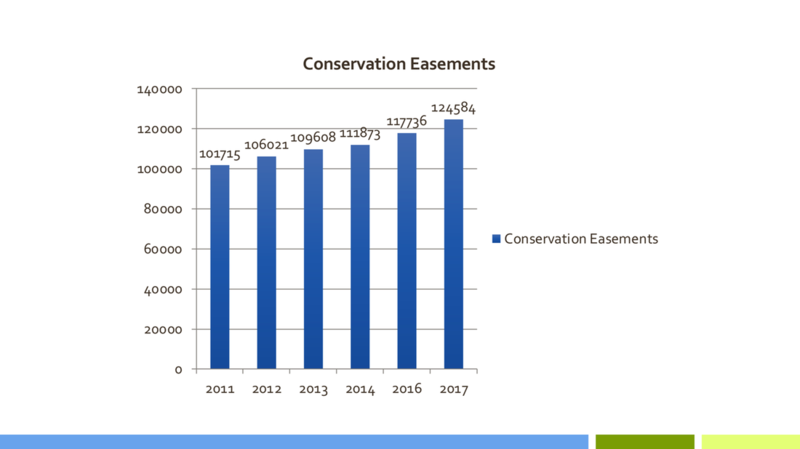 Conservancies added 6,848 acres of conservation easements since 2016. 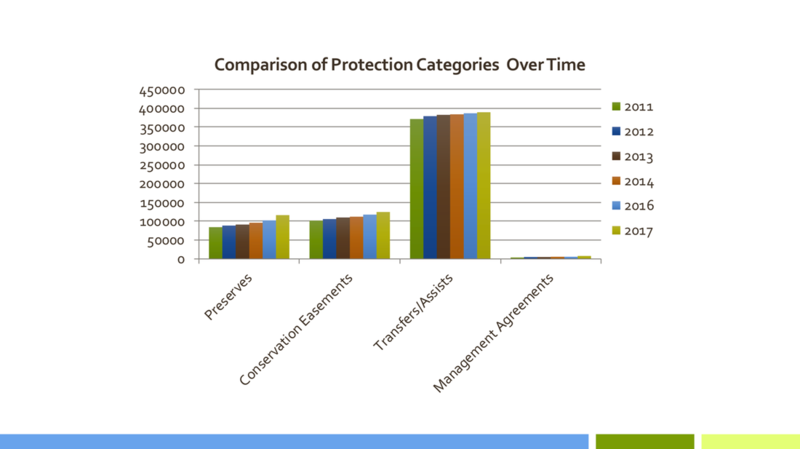 By far the largest segment of lands conservancies have helped protect are assistance or transfers of lands to local government or the state, supporting their efforts to secure parklands and open space. Land conservancies often negotiate with landowners, secure lands and raise funds to make these acquisitions possible. Over 389,346 acres have been protected this way, with an increase of 3,130 acres in additional assists or transfers since 2016. 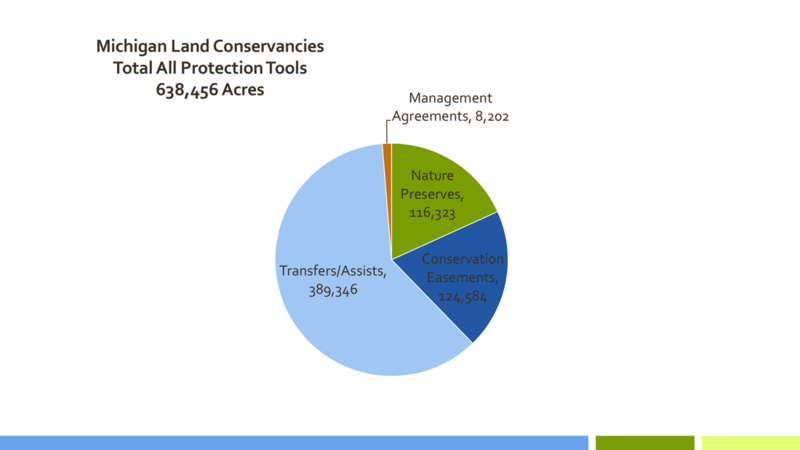 Land conservancies also manage or steward another 8,202 acres on natural lands owned by other entities. By effectively saving land, land conservancies enhance the economic, environmental and social values of our communities. They provide clean water, fresh air, safe food, places for recreation and a connection to the land that sustains us all. For more detailed information, download the survey results here or follow the links in the images below. Your support allows us to continue to strengthen the efforts of Michigan's conservation community. Together, we can protect Michigan for the benefit of generations to come.